What was all the commotion about? Winding down from a day of exploring the ancient thermal bath complex of the emperors, I stopped by a waterfront park. I walked across the grass to see for myself. A voice over the loudspeaker was excitedly announcing a water sport competition in progress. Cheers and yells came from the crowd gathered around the embankment. Picking my way through the spectators, I caught sight of a soccer ball flying through the air over the water. Then I saw a skirmish of paddles. Men in canoes were smacking the ball around using either their hands or their paddles. It was aggressive. 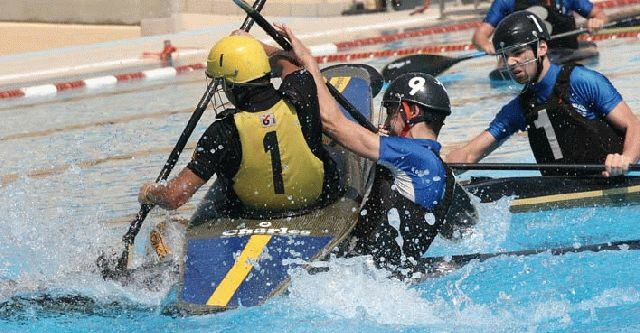 I found out soon that it has a name: Canoe Polo! Take a look at this 2 minute video I took of the game…it also gives a good glimpse of the spectators toward the end. Make sure your volume is up as the announcer is half the fun! There is no doubt that the Italians take these games seriously and harbor competitive spirits. Supportive spectators give the teams their all. What I learned about Canoe Polo is that it begins with two teams of eight. Only 5 from each team are in the water at one time with the other three in reserve. Each ‘race’ involves two periods of ten minutes each, with intervals of five minutes. And the point of it all? To fight ones way through the onslaught of the opposing team and swoosh a ball into a suspended basket, much like basketball. 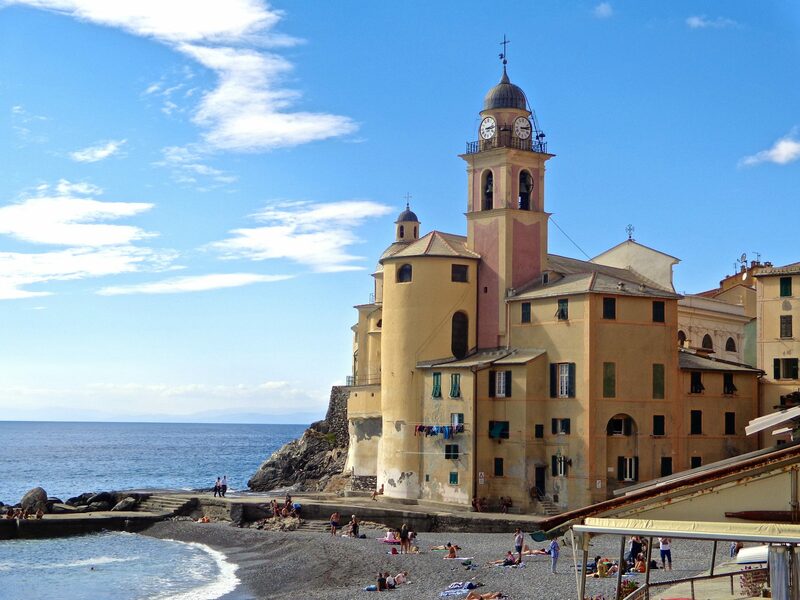 The game here was held on the Bay of Naples, but any body of water will work. 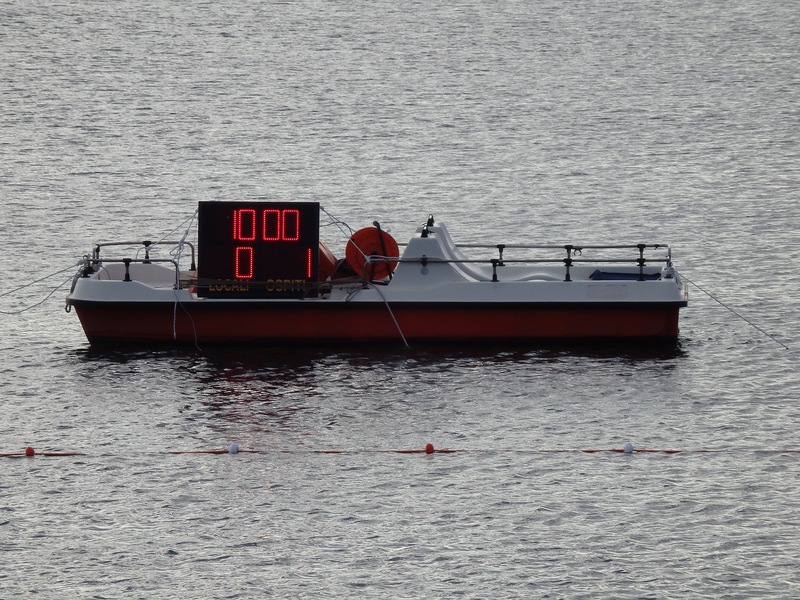 Games are often played on lakes or even in pools. A helmet, life jacket and spraydeck are required to play. I had to ask what a spraydeck was, and this is what I found out. A spraydeck is a sheet of tight cloth sized to fit over the opening of the canoe to prevent water from entering the boat. Good idea, since water was splashing everywhere in the mad skirmishes and fast paddle action. 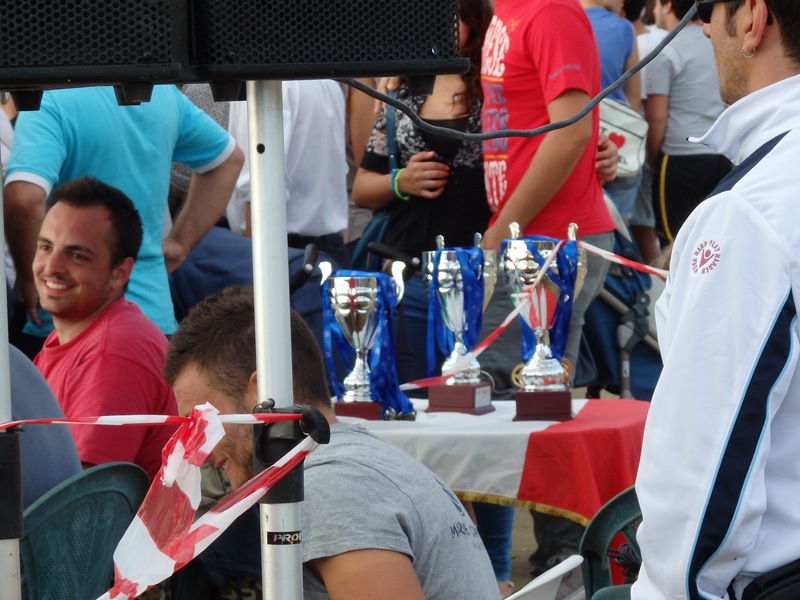 In Italy there are more than one hundred teams entered in the championships. 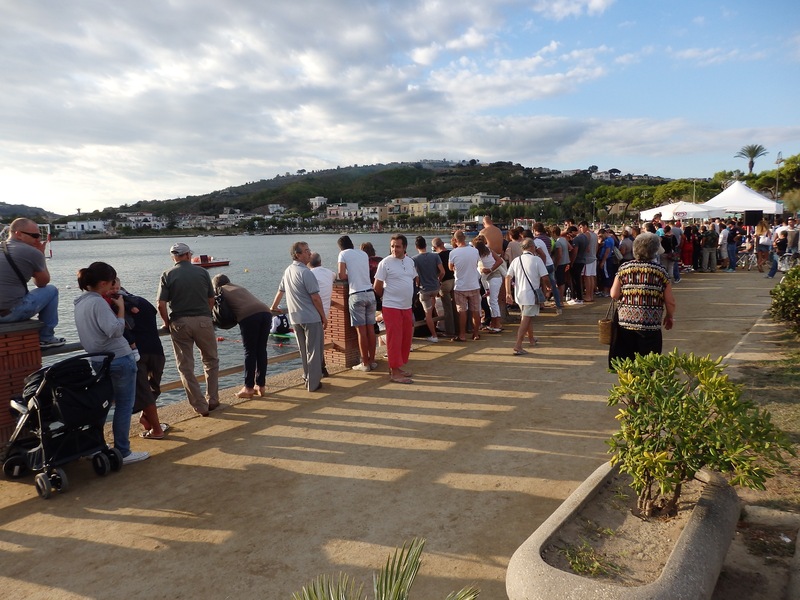 Circolo Nautico Posillipo, a famous canoe polo club in the port area of Napoli, has won most of the titles in Italy, including the Italian Cup finals numerous times. 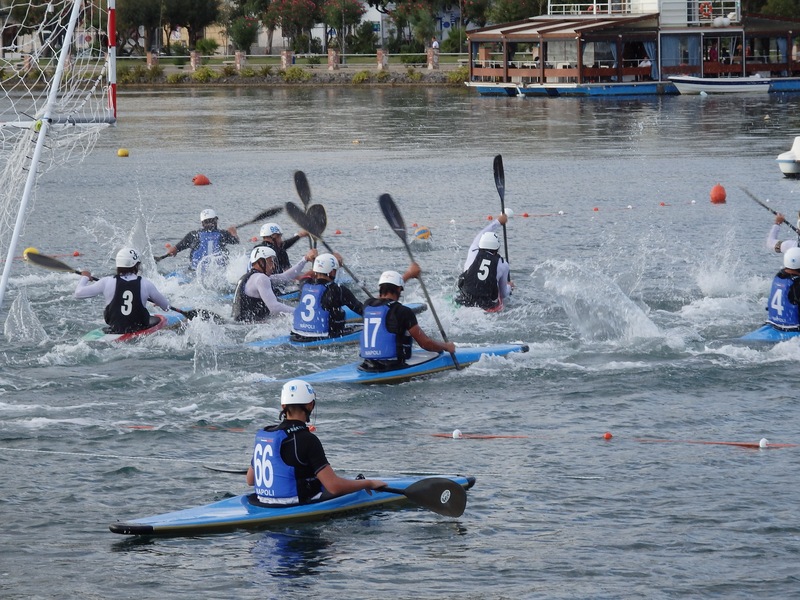 Canoe Polo – This is serious business! What a great way to spend a Sunday afternoon. A sudden glimpse into the real Italy, with its wonderful people enjoying the company of family and friends, doing what they do, is always a treasure find. Nor did I until I researched the game! It was totally exciting to just stumble upon it. Hanging with the locals! Margie, I never had either, so you can imagine my surprise and excitement when I saw what it was! Thanks for your comment, and have a wonderful weekend!